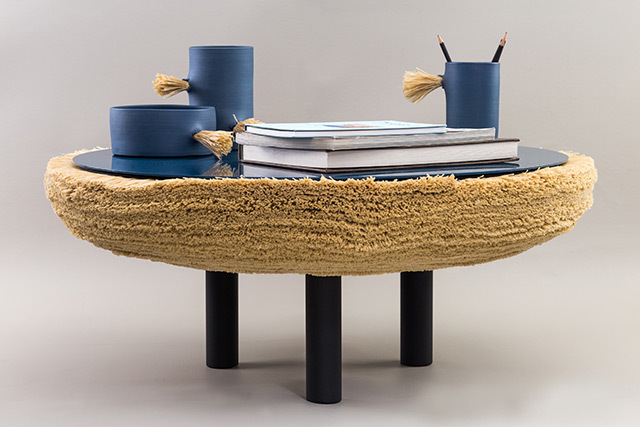 Argentine designer Cristian Mohaded has launched two new collections of objects based on the discarded selvages from our Axminster carpet looms. With sustainability as one of its founding values, El Espartano is in a constant search for new energy saving and recycling systems. In this way it has considerably reduced the amount of textile waste while guaranteeing the reuse of raw materials. 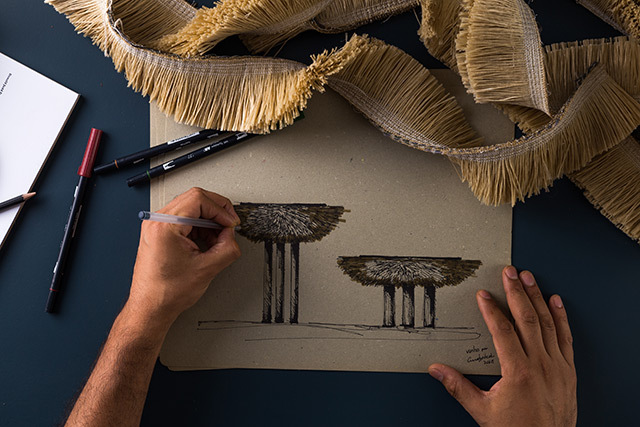 Going on with this mission, El Espartano has looked for a way of extending the useful life of waste material obtained during the manufacture of our Axminster carpets –used in big projects– which used to be simply discarded. 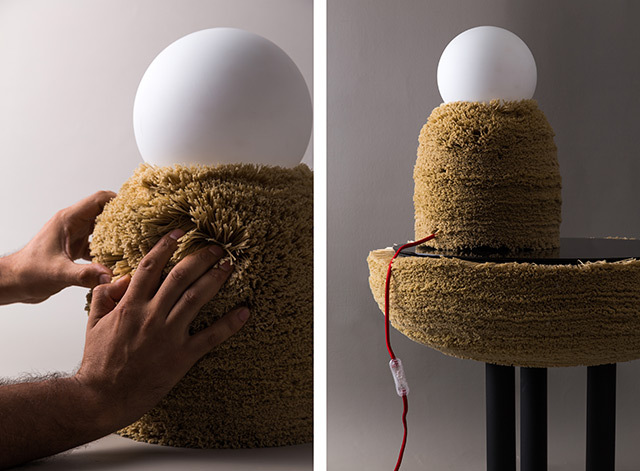 Designer Cristian Mohaded, author of some of the most renowned projects of the Lab, such as the new “Malla” Alexa carpets line, selected for the 2017 Argentine Good Design Hallmark Exhibition (Sello Buen Diseño Argentino 2017), gave a new meaning to this material by creating two original collections of objects. A collection of mirrors, bowls and containers of different sizes, tables and lamps with curvilinear shapes. This series of objects uses selvages (the discarded carpet edges) from the Axminster looms and overlaps multiple layers to create a rigid coat of defined surfaces and volumes that seems to hold an object with its embrace. Its natural shape and color resemble the outside of a nest, thus its name “ninho” which means nest in Portuguese. 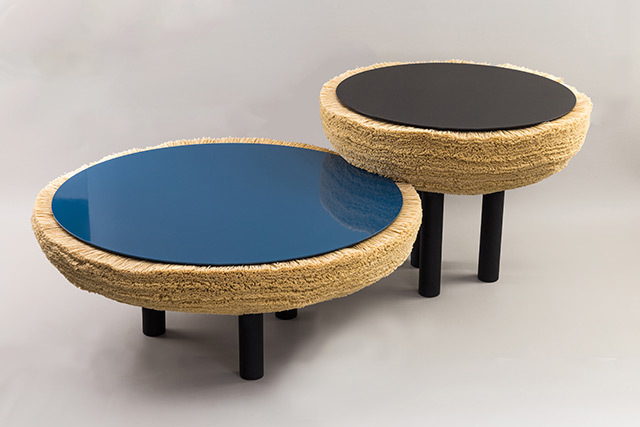 This new limited edition of coffee tables and table lamps completes the collection of mirrors and bowls exhibited in Gallery Serge Bensimon (Paris) in 2017. 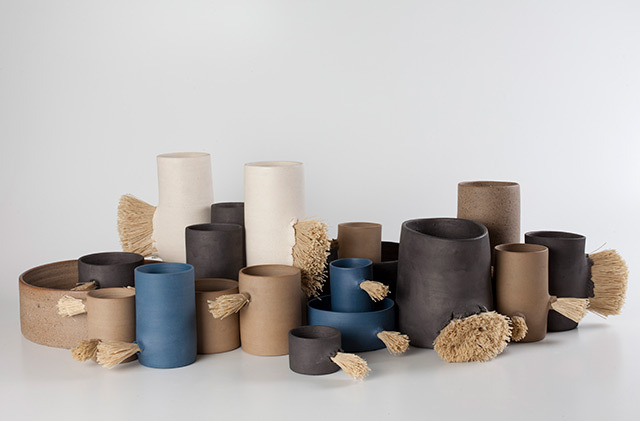 A collection of sets of cylindrical containers and bowls with different compositions of ceramics, colors and textures. It is the first project carried out by ceramist artist Santiago Lena together with designer Cristian Mohaded (both from Argentina), where both disciplines intermingle, so that each artist can offer a game of oppositions and connections from his own point of view. 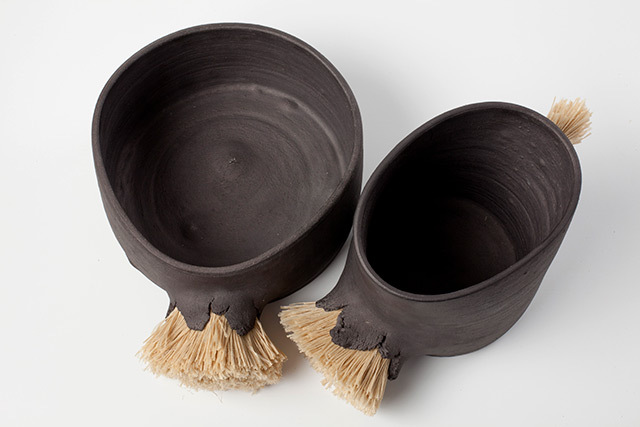 These small groups of containers and bowls share intrinsic characteristics of the materials used in which the clay skin is violently pierced by an explosion of filaments that provide life to the pieces.